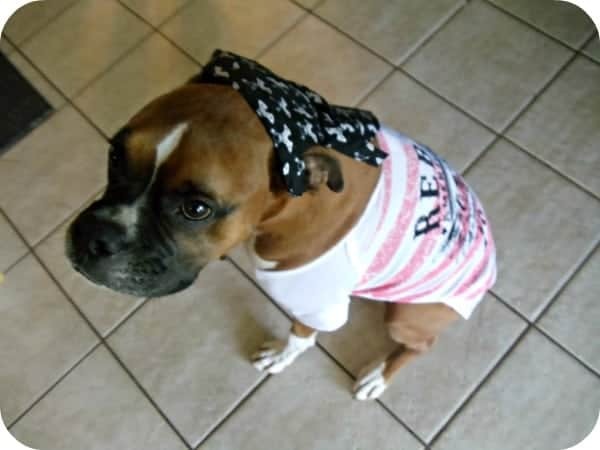 Our boxer, Jack is rockin’ out in his new duds from the Bret Michaels Pet Rocks™ collection available exclusively at PetSmart. 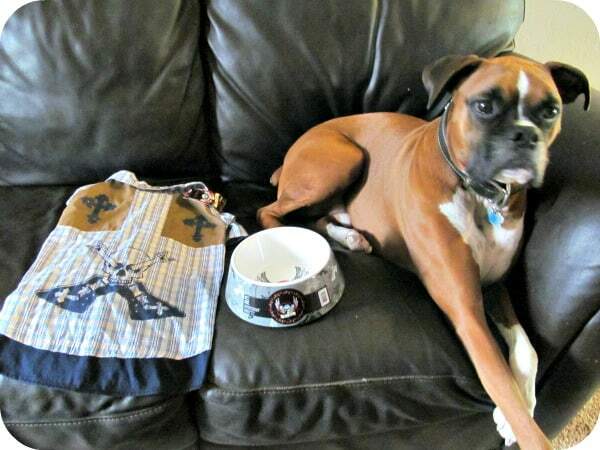 From his flame-printed doo rag to the rock-star tee shirt, Jack is one super stylish pooch. I love the eye catching toys, accessories and apparel in this collection because it is fun and it was also comfortable for Jack to wear. He enjoyed lots of attention from the ladies when sporting his new style at the dog park and my kids thought it was a blast to dress him up. This collection includes everything your pet needs to be a “rock star” including fun toys like the Pets Rocks™ Vinyl Boot ($5.99 SRP) squeak toy. Jack carries his boot toy with him everyone and loves to tease the kids by running around and squeaking it just out of their reach. There are also hip melamine pet bowls, clothes, collars and leashes and pet beds. Jack loves the Outlaw Tee which fit true to size in a XL. 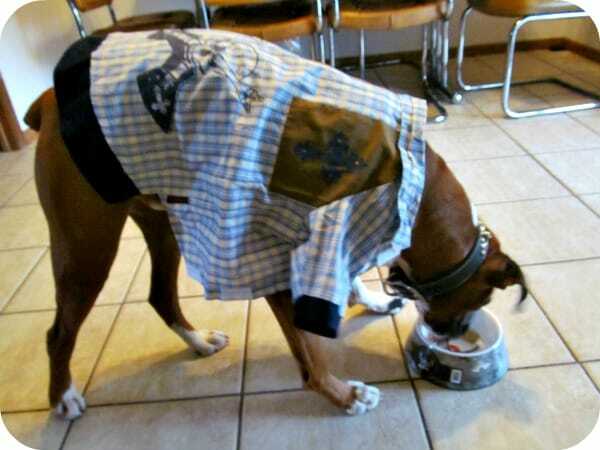 The Western Shirt ($4.47) is adorable but didn’t quite fit over Jack’s shoulders because he has a broad chest as typical of boxers. I gave this shirt to my parent’s pup which sports it proudly and the size fits perfectly. The collar is a very nice quality because it is sturdy and durable and I love the attention in the details. I really like this fun collection and the price point is very reasonable too. You are invited to visit PetSmart to check out the entire line of products in the exclusive Bret Michaels Pet Rocks™ collection. Inspire the rock star within your beloved pet………..